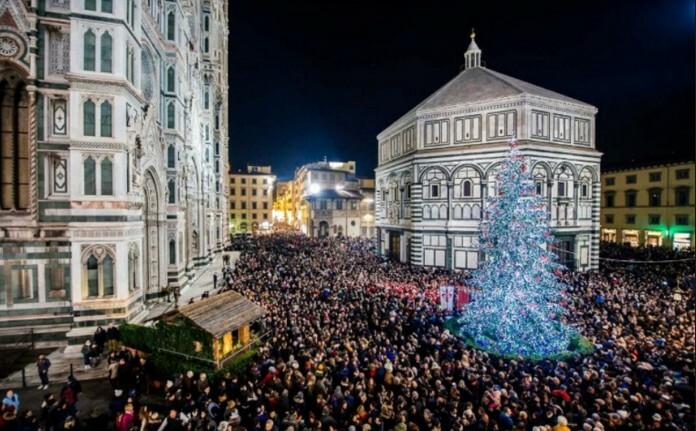 Every 8th December, Christmas lights illuminate Florence and a big tree is placed in the Piazza Duomo next to Cathedral of Santa Maria del Fiore. Moreover, for an entire month, on occasion of the F-Light Florence Light Festival, new amazing lights brighten Florence downtown. 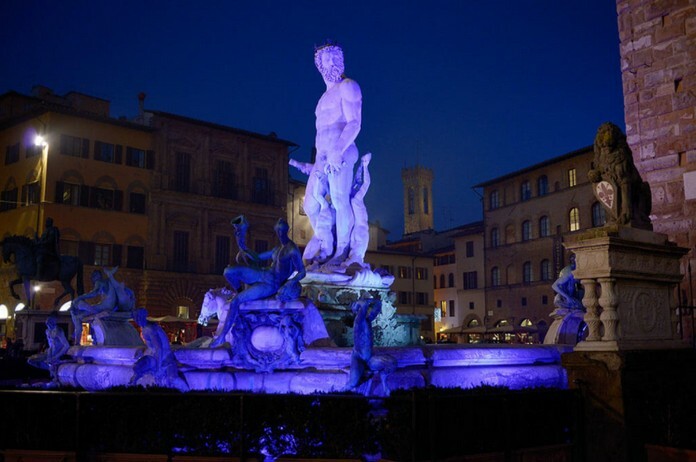 If you are lucky to be in the capital of Tuscany during this period, you have the opportunity to admire the main attractions of the city under a different light. 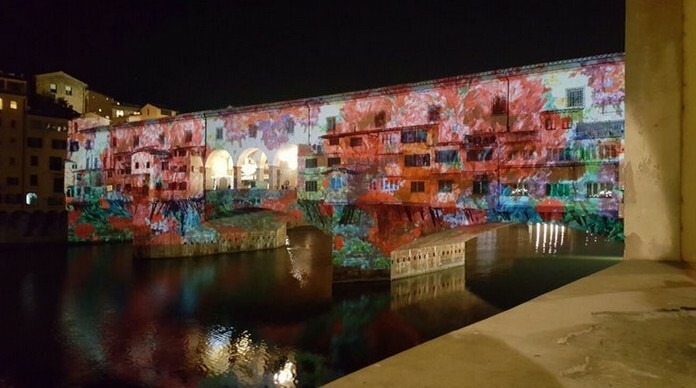 Since 2011, in December, light games and projections color the facades of the historical buildings, giving them a special and amazing aspect. F-light is a wordplay. The letter “F” (for Florence but also for festival) and the word “light”, create the new word “F-light”. 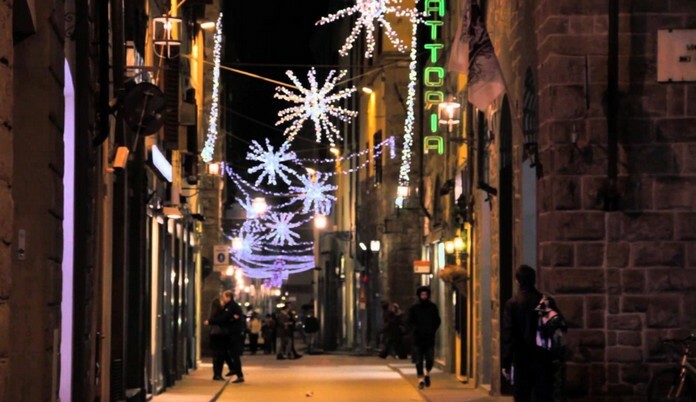 For a month, the Light Festival invites Florentines and tourists to take a tour with the light, an imaginary flight over the city, closer to the starry vault.